Lund’s & Byerlys is a family owned grocery store with many locations across the Twin Cities, Minnesota. The store has been around since 1939 and Today, 75 years and three generations later, the founder’s grandson continues their family tradition of quality, value and service. “We want to offer our customers sensational shopping experiences each time they visit any one of our stores,” says Tres Lund, the CEO. Not only does this grocery store have a family rooted history, but it is also responsibly sourced. Lunds & Byerlys ensures that they have organic and locally grown options available as well as grass-fed and wild caught selections to help their customers eat responsibly. The grocery store wanted a convenient setup that would help them with their waste needs. Our team went with a custom made, ST1046/36 which was designed to handle the wet, hazardous and messy waste generated by grocery stores. 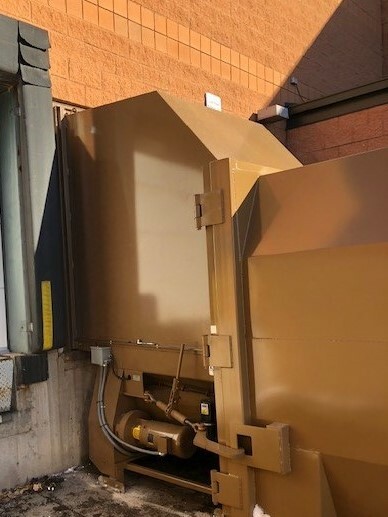 This custom instillation includes a full dock door enclosure which allows the store to dispose of their trash safely and mess free without having to physically step outside. We are so thankful for the opportunity to work with businesses like Lunds & Byerlys grocery store to create a more convenient, environmentally friendly and safer place to work.